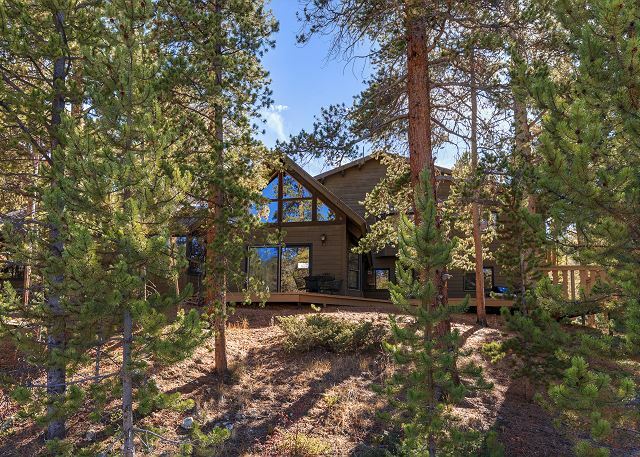 This spacious mountain home features a wrap-around deck and balcony with scenic views. It offers rustic decor and stainless steel appliances. 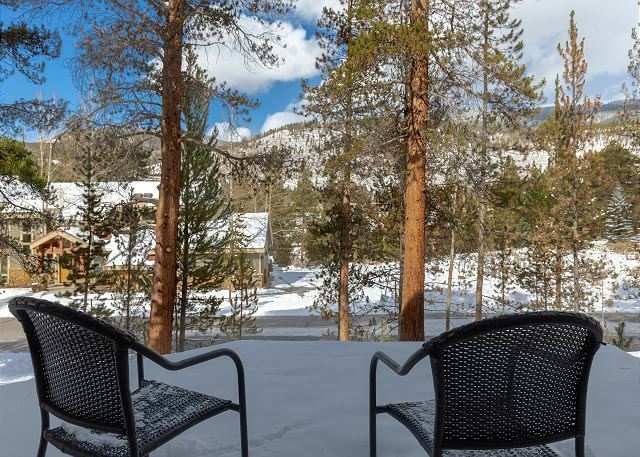 You're in a quiet area of the resort but still minutes from everything with a nearby shuttle stop. 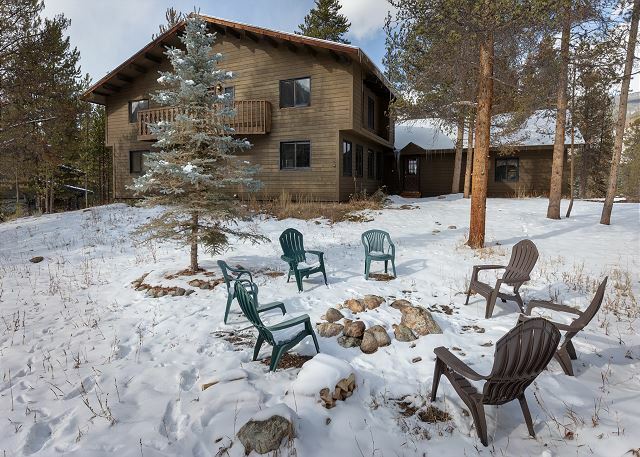 This stand-alone mountain home is 2,803 square feet and has 5 bedrooms and 4 bathrooms and sleeps 12. 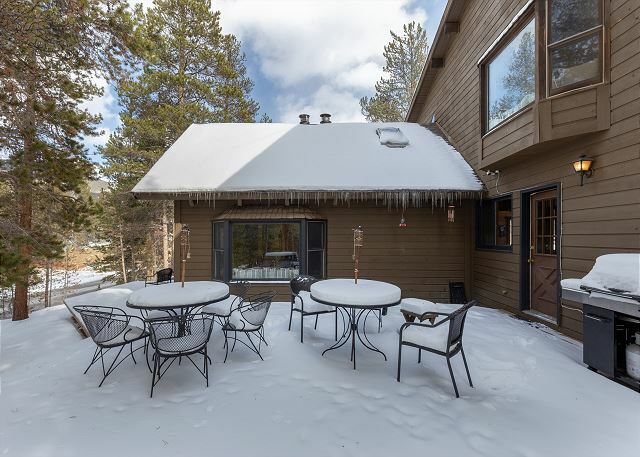 Ideal for a large family vacation, family reunion or just friends wanting to get together and split the cost of a vacation rental. 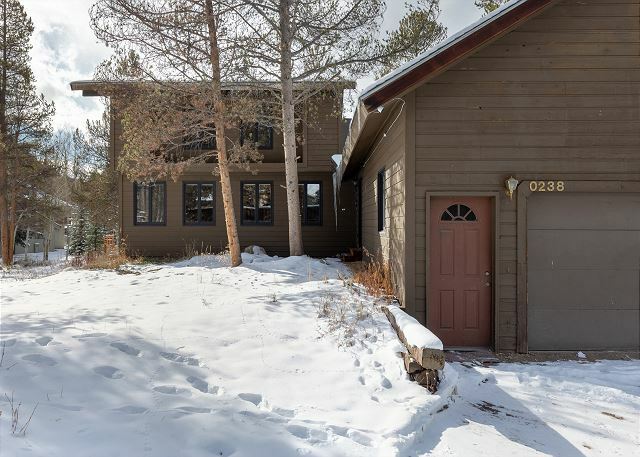 It features vaulted ceilings and spacious decks with scenic views and mountains in the distance. Bathrooms updated the Fall of 2018. 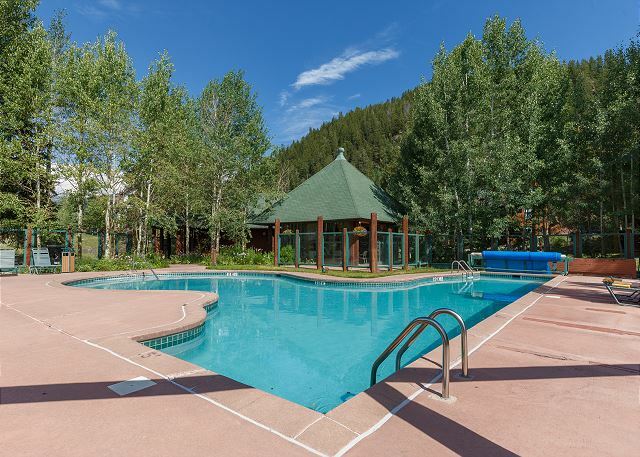 You're tucked away in a quiet area of the resort but with the nearby shuttle stop you're just minutes from all the resort has to offer. 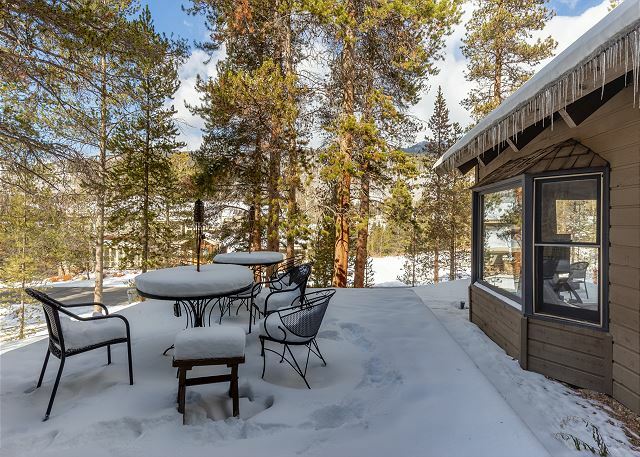 Located in West Keystone, you're less than a mile from the lifts and just steps from hiking and wildlife viewing. 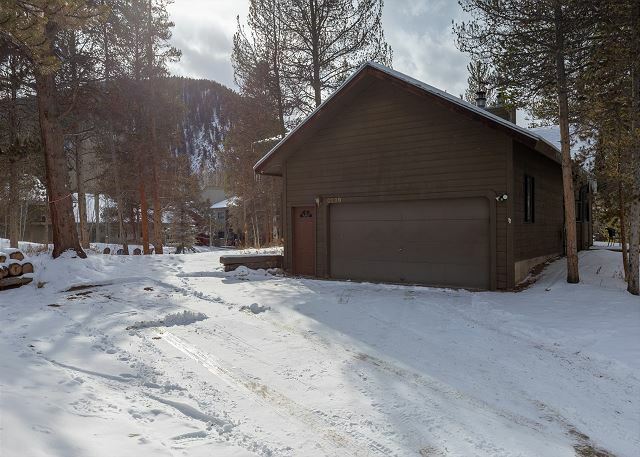 The home has a private 2-car garage and space for two additional cars in the driveway. 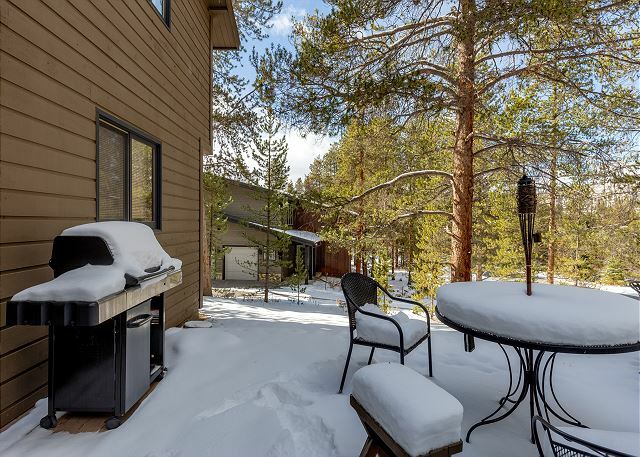 It features large decks with seating and a private grill, as well as two balconies on the second floor, all with scenic views and mountains in the distance. 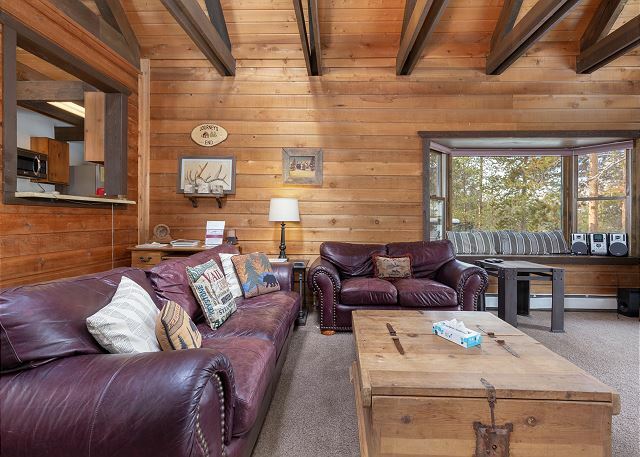 With rustic decor and wood throughout, you have the feel of a real mountain home. 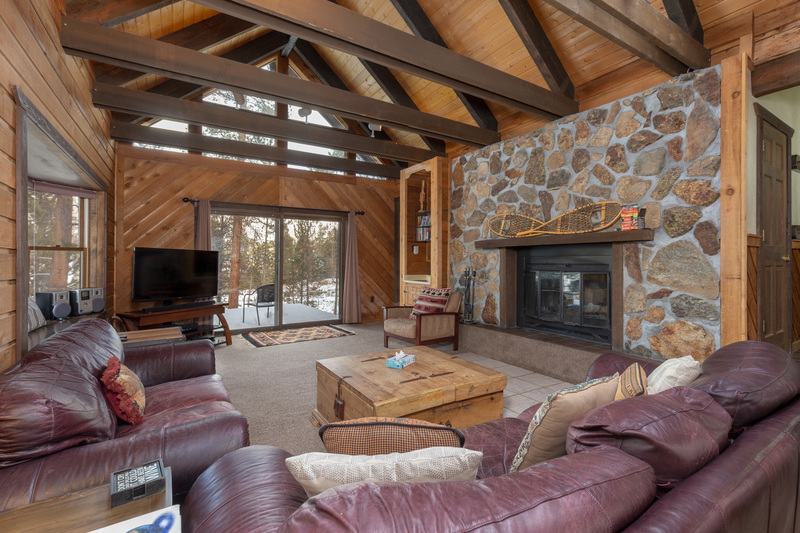 The sunken living room features a large wood-burning fireplace with stone surround and a flat screen TV. 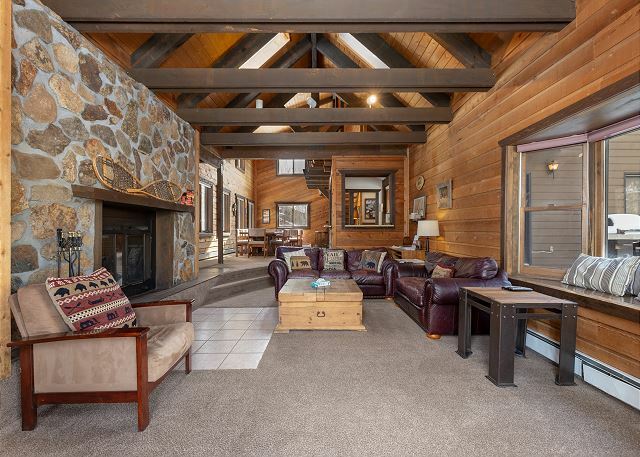 A large window above the vaulted ceilings and thick beams allows for natural light, while sliding glass doors lead you to one of the spacious decks. The homeowner has provided a selection of board games for your enjoyment. 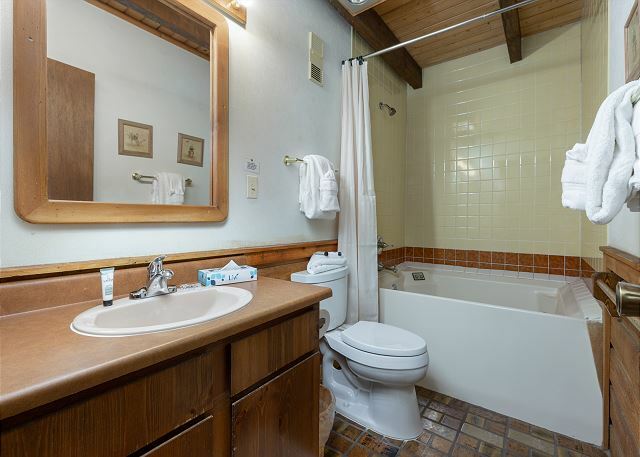 The main floor guest bathroom is just off of the den and has a jacuzzi tub. All bathrooms are stocked with towels and an initial supply of toiletries. 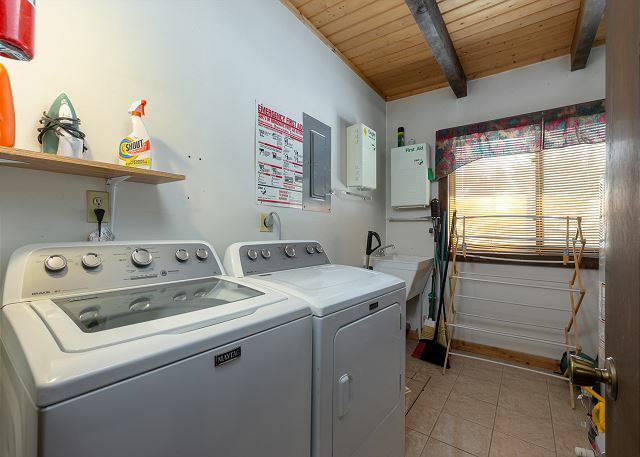 The private laundry room is also on the main floor. 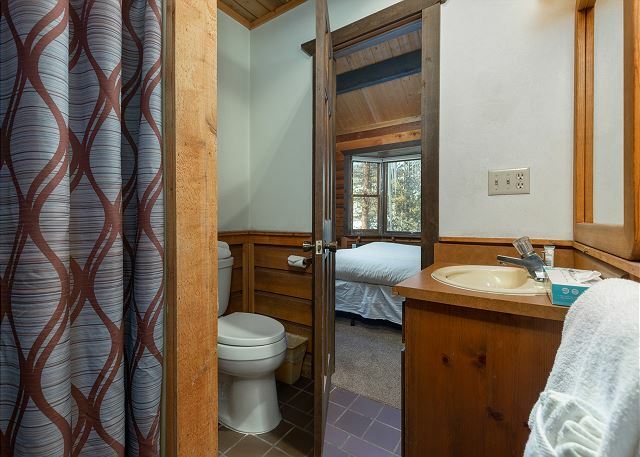 It features a full-sized washer and dryer and a sink. For your convenience, laundry soap is provided. The full-sized kitchen is stocked with cookware and tableware to make a meal away from home and features stainless steel appliances. 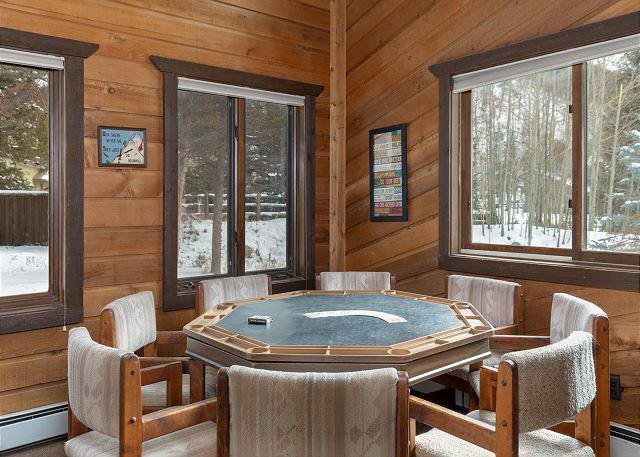 The large dining area features two eight-person tables and one converts to a game table. There are three additional seats at the breakfast bar. There are three guest bedrooms on the main level and all have Ivory White Bedding. The first guest bedroom features a full-sized bed, wood-burning fireplace and an en suite bathroom. The second guest bedroom has two twin-sized beds and while the third guest bedroom has a queen-sized bed. The master bedroom is on the second floor and features a king-sized bed with Ivory White Bedding and a large bay window with a cushioned seat. 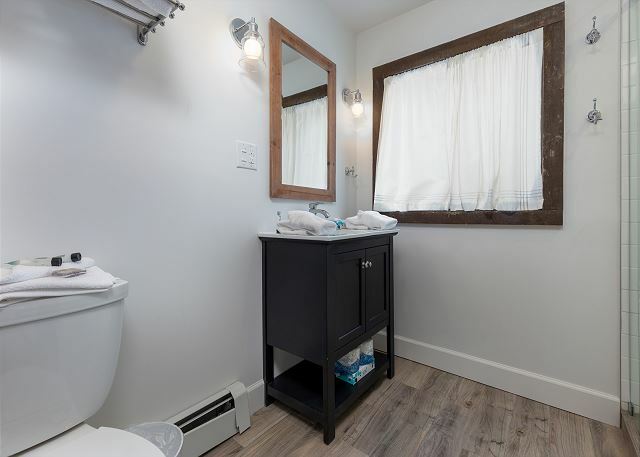 The renovated en suite bathroom has a single sink vanity and a walk-in shower. The fourth guest bedroom is also on the second floor and features four twin-sized beds with Ivory White Bedding and its own private balcony. 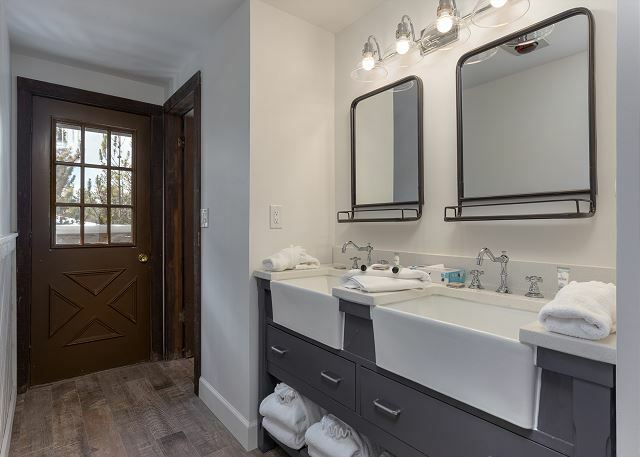 The upstairs renovated guest bathroom features double sinks and the hallway allows access to a balcony. 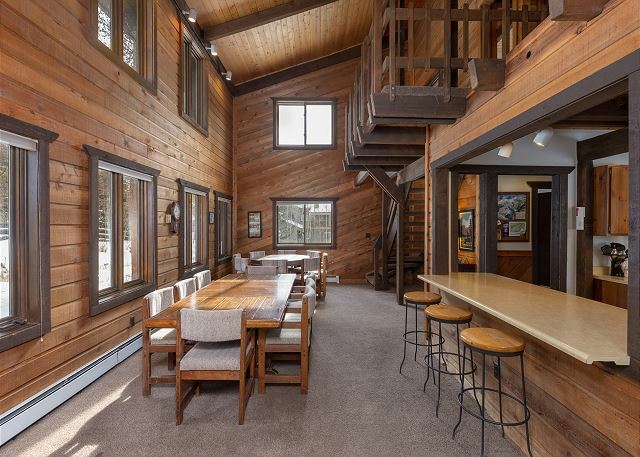 There is an upstairs loft with seating for two. 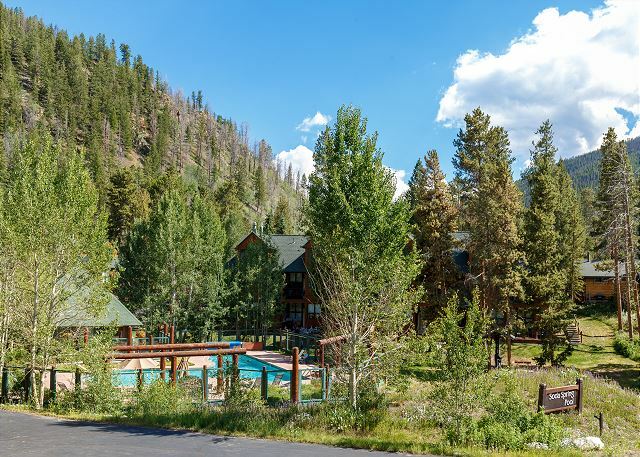 Guests of this home have access to the shared pool and hot tub at Soda Spring. 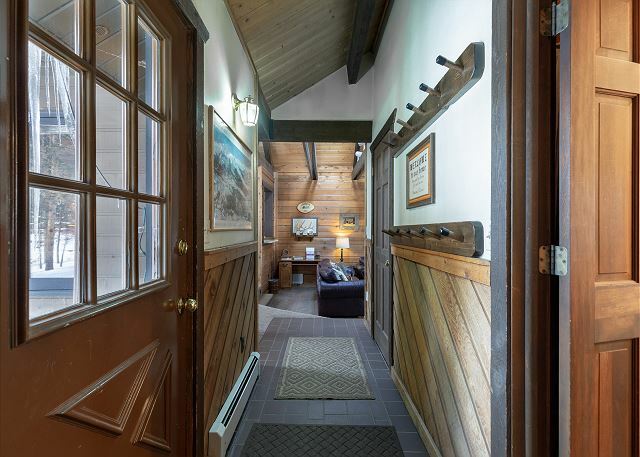 Just grab the keycards hanging in the dining area and walk over to the Soda Spring clubhouse. This property requires a minimum of 2 nights to be reserved. 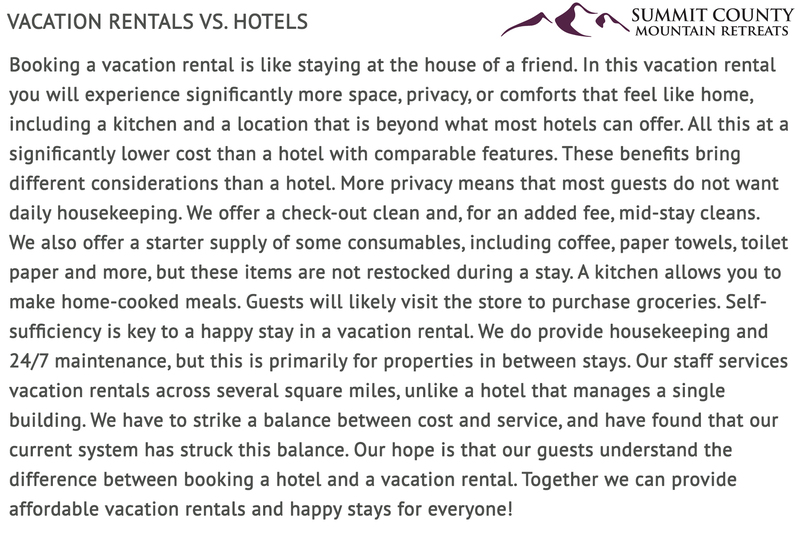 If you reserve less than 2 nights you will be contacted and asked to lengthen your stay or have your reservation cancelled. **Ultra-premium Linens and Ivory White Bedding** This property has been upgraded with ultra-premium linens and ivory white bedding. Our ultra-premium linens feature extra soft, oversized towels and high quality bed linens that have a subtle satin stripe pattern for a look of elegance. The bedding showcases a soft, white-striped duvet cover with a medium thick, high quality down alternative duvet. Featuring an uncompromising and industry leading standard of cleanliness, the duvet covers are laundered after each and every guest stay. 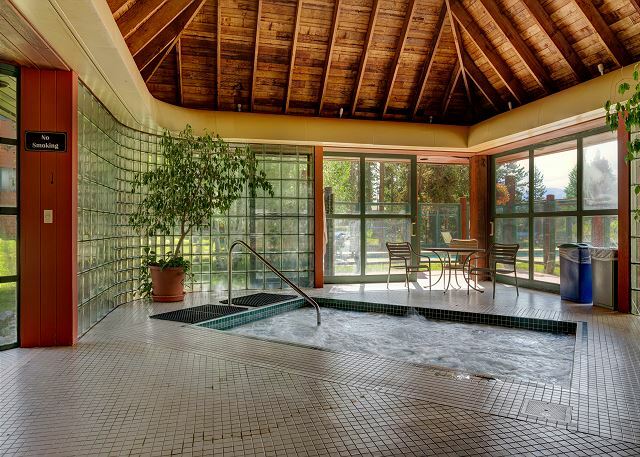 The home was very conveniently located near many activities. However the heat downstairs in the dining and living areas needs some attention. We had to keep a fire in the fireplace going in order for that area to stay warm. 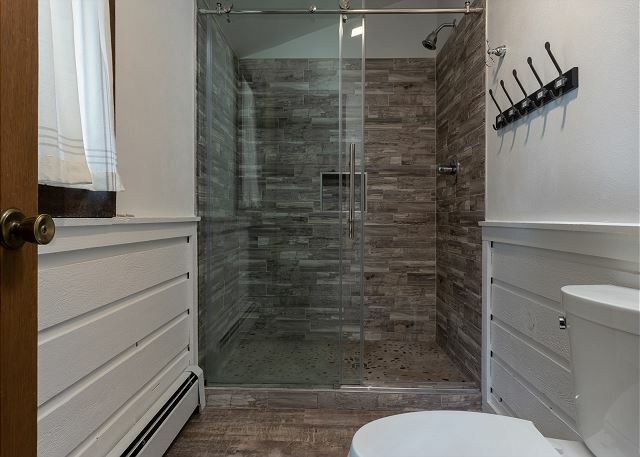 Updates to the bottom floor baths need to be done and for a house that accommodates this many people, there are not enough large pots and pans to cook for a crowd. We had a great stay and the home is beautiful and well arranged. Excellent experience. The rental management was great to work with. Directions were simple and perfect. This is an older rental but they did a really good job making sure everything was spotless before we arrived. They are working on remodeling as there was a bathroom that was updated and there were upgrades ready to be installed in the garage. For the price, location, and room available, we were very pleased! The area is beautiful and very close to restaurants and shopping if you want to get out at night. This was my first experience with a VRBO. The overall experience was smoothe. My group consisted of 5 men. The home boasted of 8 beds. The twin beds as well as the king beds were all comfortable according to my friends. There was ample clean Linen and towels supplied. Overall the home was clean. We saw some stained walls in one of the bedrooms. There was also a home in one of the outside decks. The home has some age but it is, for the most part, well maintained. There is a swimming pool available for use but we did not take advantage. There are hiking trails in walking distance. Overall, our stay was pleasant. We did have to call the property managers for a very small problem but we eventually did not need their assistance. However we appreciated their quick response. We were 8 adults,10 kids and 2 babies! We enjoyed s cool week away from the heat of Kansas. Thank you for the feedback. We will follow up about the kitchen and restock as needed. We do deliver propane. Our Guest Information Portal asks guest to contact us if they need more propane for a grill. We're glad you enjoyed your stay otherwise! We had so much fun, the place was very clean and was more than expected. Nice and roomy with a great set-up for our large extended family. The kitchen was well stocked, and there's plenty of seating for everyone. The beds and bedding were quite comfortable, aside from the bed in the main floor room off the entryway. Overall we were super comfortable in the house. Nice and large living area for big groups. Very nice house and plenty of room. We had plenty of room for our group of 11 to sit around the living room into the dining room area. Most of the bedrooms had plenty of room in them to move around and get ready for our daily activities. The online check-in and check-out process made everything very easy for us. We had a great experience at this property. Plenty of room for 10 adult men, cozy & comfortable. The driveway was tricky when icy/snowy if you don't have a 4WD vehicle. Other than that, a nice place. My team (of 9) and I were in Keystone for a work summit. The house we stayed in let us relax on the deck (and in the living room) and bond after each day of the summit. Very comfortable and inviting home. we had a fantastic weekend. my only complaint would be that the deck outside was not in very good shape. otherwise we had a great time. Overall experience was good with minor issues or details that could have been better. 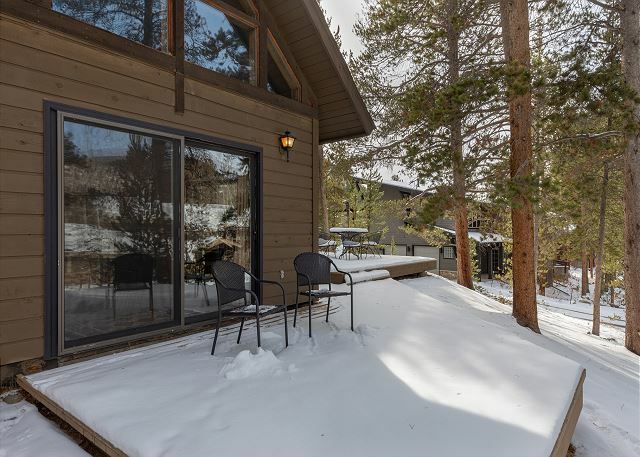 Pros included lots of space with bedrooms and bathrooms, large yard, close to resort and towns, and games for kids. Cons included replacing multiple light bulbs ourselves, working on the grill to be able to use it, leaking sink with downstairs bedroom floor being damp, no garage door opener or crockpot. The home had sufficient space for a large family get together. 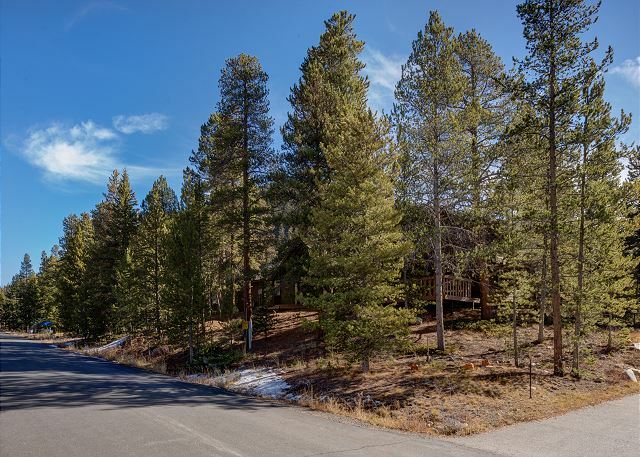 The location of the property was convenient to the slopes or trips to Dillon. 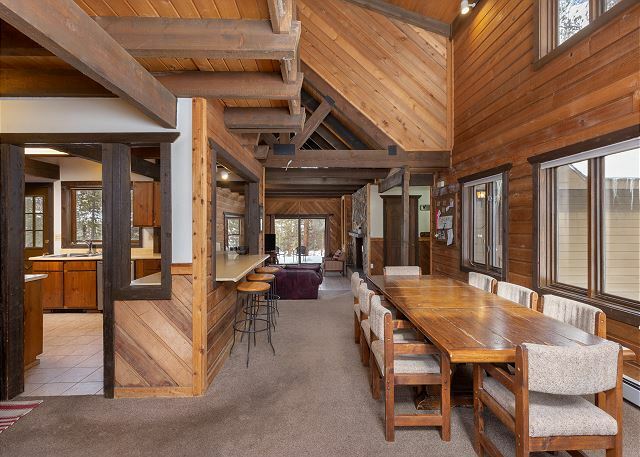 Large kitchen and dining area allowed for family meals. Space allowed everyone to stay together while large enough to allow privacy. The property is older. There are maintenance issues that need to be taken care of or the property would have rated 5 stars. We were very pleased with our rental. The house was very large and clean and was able to accommodate two families including six kids under six. The location was so close to the lifts at Keystone and the shuttle for the locals was able to bring us to the mountain with no problem quickly. If there was any issue with the property it was that it could be updated a little bit....also various rooms were either very warm or very cold(either energy inefficient windows or the need for a new furnace). All in all it was a very positive experience.